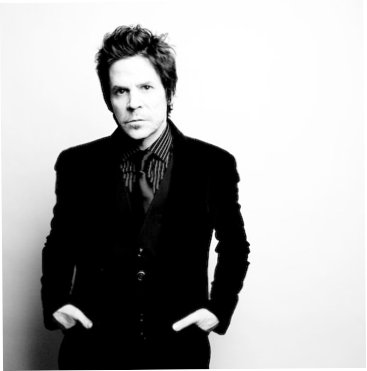 For fans of Tony Harnell, the coming weeks promise to deliver you one of the most landmark releases in the career of one of the greatest voices in rock! 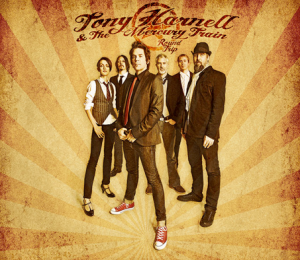 Under the banner “Tony Harnell & The Mercury Train”, “Round Trip” is a stripped down, reinvented retrospective of Tony Harnell’s past classics originally recorded with TNT, Westworld and Starbreaker, with one brand new song ‘Anywhere But Here’. In recording and reworking the songs, Tony enlisted the services of some friends in New York who were not part of the Metal/Hard Rock scene. Listening to ‘Round Trip’ with open ears and an open mind, you will be rewarded with what is bound to be one of the years most astonishing albums…an album that not only displays the prodigious vocal talents of Harnell, but reinforces the strength of his songwriting over the last 20 plus years. Regardless of whether or not you are familiar with TNT, Westworld or Starbreaker, this is a collection of awesome songs…period! A few weeks away from the official release of “Round Trip”, Tony was kind enough to chat about the album and some of the other projects that he has in store for the rest of 2010. Firstly congratulations on “Round Trip” which I have to say is without doubt one of the most remarkable albums of it’s type. Listening to this album, I can’t help but think there is a whole new audience out there who are just waiting to discover these songs for what they now are, who have never heard of TNT, Westworld or Starbreaker. There’s a whole new legacy to be brought to these songs. Do you see the potential of the album in this light too? 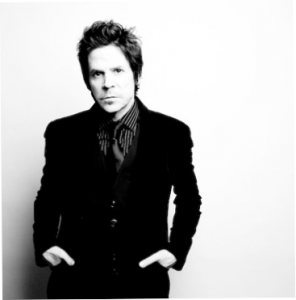 With the completion of this album, did you consider it the step you felt you needed to take in order to feel empowered to now push ahead with Tony Harnell the solo performer? Yes for sure. If you asked me three years ago I wouldn’t in a million years have thought that this was something I wanted to do. But here it is. It’s been a very therapeutic and cathartic experience that’s taken on a life of it’s own. Something that started as a simple project turned into a sort of life changing little step for me. It didn’t really have any special meaning when I started, but as it progressed it became so many things for me. I realized for one thing that some of these songs needed more attention than they got the first time around and maybe in this format that could happen. Secondly, after a not so pleasant break up with my old band I really started to feel badly about the entire 20 plus years I spent with them. I hated the songs, wanted to forget it all, take the gold records off the wall and sell them and just pretend it never happened. But I should be proud of that period. I gave a lot to it and deserved to feel good about all those years again. So it hit me that this album was a positive way to get those years back, the songs back and the good memories back for the sole purpose, as you said above, of leaving them behind peacefully. The collection of songs that you have on the album are a mix from TNT, Starbreaker and Westworld. What was the decision making process that led to the final 14 songs? Did you consider attempting to include Tell No Tales haha? No, didn’t consider that one:) I asked my fans what their favorites were and mixed theirs with mine and of course the obligatory songs that everyone expects. Almost didn’t put 10,000 Lovers on there but the new version is so cool it just had to be on the cd. In the end, it was just the songs that sounded the best with this band that made the cut. The band you had working with you on this album the “Mercury Train” originate from outside of the hard rock/metal arena. Any intetesting stories about where you hand picked these musicians from, or about their backgrounds? They are all talented, local, hard working New York City musicians and friends. I met them all in different circumstances, but Brandon Wilde brought most of the band together as Brad and Chris are part of his band and I brought Jason in and of course my wife Amy. So it was sort of two different sets of people joining together. They’re all great guys and super fun to work with as you can probably hear in the tracks!! Charging those guys with the task of “reinventing” the songs, did they initially come back with any interpretations/arrangements that you straight out said “that would never work….”? Not really. I mean, I had ideas about where I wanted each song to go, and they picked up on that and ran with it so we were pretty much all on the same page during the process and it all came together very quickly. Are there a couple of songs during the process of recording this album that you gained a whole new appreciation of? Oh yeah, for sure. And though I didn’t set out to better any of the original recordings I think in a few cases, at least from the vocal standpoint I may have done just that. But I think Northern Lights is a whole new song in many ways. It’s fresh somehow. Somebody Told You hits right on the mark the way I thought it would if the soulful element was brought out more, so yes! Did you find it challenging at all vocally adapting to singing these songs in a way that your brain/instincts may of tried to do otherwise? Not really, in fact this was quite easy because I haven’t sung these in a long time so doing them in a new way was actually refreshing and helped make me appreciate them again. Your vocal performance on Shame with Sandi Saraya is my personal fav on this album, with Northern Lights not far behind. Vocally, do you consider that you may only just be reaching your “peak” so to speak? I hope my peak continues to grow in the future. I am trying to adapt to my voice as it changes and get better as a singer with the changes. It’s tough when you have to do your old material in the old style which I will have to do from time to time when I tour or do festivals, but to me if a singer continues to reinvent himself if only just a little at a time as his voice changes he can find new heights and not just keep competing with who he was but be who he now is both mentally and physically. In my mind I never have been good enough and I guess that’s what keeps me getting better all the time. Over the last couple of years you have lent your production/songwriting talents to others. Have you have recently been involved in any projects you care to share?? I worked on an album by the band Pound which is a really great band with amazing songs, that was a lot of fun, they will actually be my band when I play in Europe this summer. And recently I’ve been working with a fantastic female artist in New York names Kjersti Kveli from Norway. She lives in New York. I hope to continue to do more as time goes on and I am sure I will. Speaking of “share” you are involved in a concept called Artistshare project. How have you found the experience of opening up your songwriting process to others? 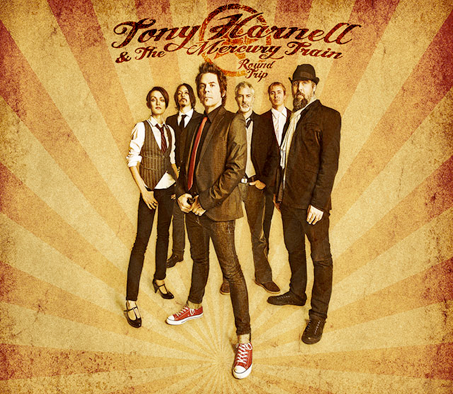 Listening to “Round Trip” has now got me highly anticipating a Tony Harnell solo album. Is there any update on the likely release of a solo album? There are actually a lot of songs written, I am still searching for the exact right songs. I will really try to get it out by early next year!! In November you are heading to Spain for a bunch of shows as a vocalist with the “Queen Symphony”? With Freddie Mercury being an influence, this must be something you are particularly looking forward to? What are a couple of your alltime favourite Queen songs you look forward to performing?